Edwin Dziekanowski lived the majority of his life on his family’s farm in North Amherst, and if he had his druthers he would still be there today. As he remained a bachelor, and now well into his eighties, he was the last member of his immediate family to live and work on the farm. Purchased in the 1920s, the 39.8-acre farm originally functioned as a dairy farm. The family also grew a variety of agricultural crops as well. Edwin, as is the case with many aging farmers today, had taken over his family’s farm after his parents had passed on. He was raising Scottish Highland cattle and leasing 14 ½ acres of the farm to a neighboring farmer until the spring of 2004. It was around that time that Edwin fell ill and had to be hospitalized. As he was living alone, and because of his age and his illness he was placed in long-term care and was unable to return to his farm. To cover his care and medical costs, Edwin was thus forced by circumstance to sell the farm. Developers were offering as much as $2 million for the property. However, it was the Dziekanowski family’s wish that the farm remain in agricultural use. 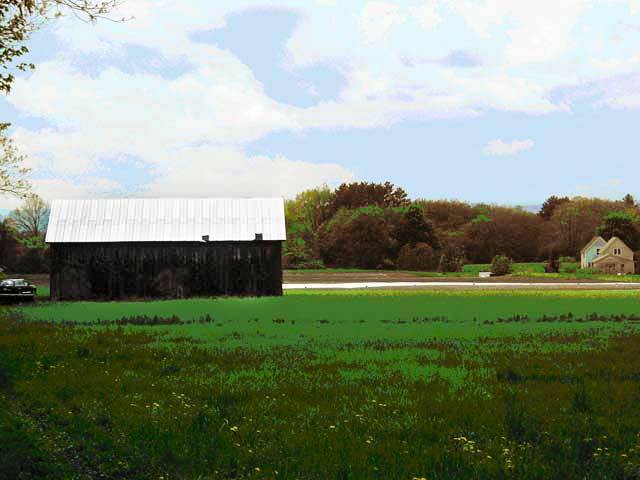 In December of 2004, with only six weeks to commit to the purchase of the land, the family’s wish came true with the establishment of the NACF; a community-based, non-profit organization, committed to the preservation and continued agricultural use of the Dziekanowski farm in North Amherst. 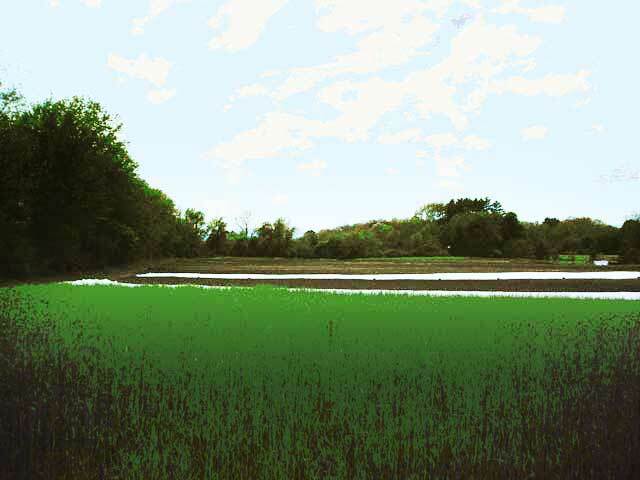 In the spring of 2005, to protect the land even further, Andrew Jaekanowski, Dziekanowski’s power of attorney, sent an application to the Commonwealth of Massachusetts for the acquisition of an Agricultural Preservation Restriction (APR) on the land. Because of the circumstances in regards to NACF and their mission to preserve the farm for community use, the APR was quickly approved, and on August 29, 2005 the Commonwealth sent a letter back to Jaekanowski agreeing to purchase the APR. The APR on the land was purchased for the sum of $10,000 per acre, on 35.5 acres of land. The remaining 4.3 acres of land would be designated for limited development, specifically related to the agricultural use of the land. 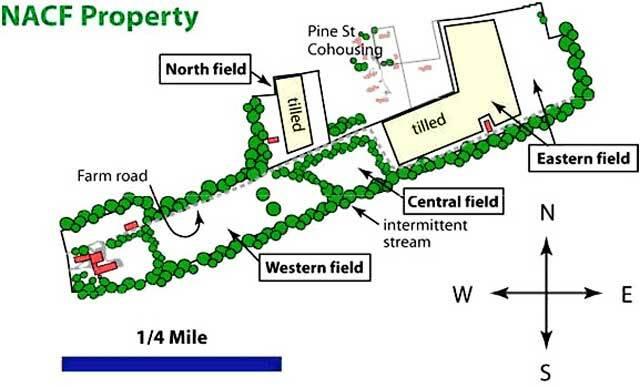 For example, two flag lots located at the northeast corner of the property will be used for housing for the two resident farmers working on the land. The $355,000 from the APR purchase would also go towards NACF’s down payment on the land. During the transitional period, in the time between NACF’s initial conception in December 2004, and their approval as a registered non-profit organization in 2006, the Kestrel Trust was serving as a fiscal agent and advisor to fledgling group. Founded in 1970, The Kestrel Trust is a regional land trust in western Massachusetts dedicated to the protection of forests, fields, farms, and wetlands from the Mount Holyoke Range to Mount Toby and the Pelham Hills, and from the Connecticut River to the Quabbin Reservoir. By working with landowners, town conservation commissions, state agencies, and other land trusts Kestrel has helped to protect several thousand acres in the nine-town region they serve. Since NACF is now a registered non-profit, they are completely independent of Kestrel Trust and managing their own finances. NACF specifically intends to use land for a community supported agriculture (CSA) farm. Currently, two resident farmers as well as a handful of interns and volunteers from the community conduct the farming half of managing the farm. The NACF board handles other issues related to the farm. Along with the CSA farm, NACF plans to have an area on the farm for people to pick their own vegetables and a farm stand along North Pleasant Street. NACF is currently in the process of cleaning up around the farm and getting it ready for the growing season. Because they intend to use the farm for agriculture, NACF was able to strike a deal with the Dziekanowski family and the agreed upon price for the farm was $1.2 million. The down payment for the farm is $600,000, and the remaining $600,000 will be paid incrementally to the Dziekanowski family over the next 5 ½ years. As was mentioned before, $355,000 came from the State of Massachusetts from the purchase of the APR, another $100,000 came from the Amherst Community Preservation Act fund, $120,000 is from private donations, and $25,000 is yet to be acquired. The remaining $600,000 that will be paid over the next 5 ½ years will come directly from revenue generated from the CSA and the farm itself. NACF was the result of concerned community members working together and coming to the conclusion that if they didn’t do something to protect Dziekanowski farm, then it would almost definitely be lost to development. The Dziekanowski farm is one of the last remaining farms in North Amherst. The farm has been in agricultural use for over 150 years. One barn on the property dates back as far as 1862. Get the community involved. Community can play an important role in land protection if people are willing to work together toward a common goal. APR! Farmers in Massachusetts interested in preserving their land for agricultural use need to take advantage of the state APR program! Be creative with land use. Turn that old farm into a CSA. Teach youngsters about agriculture. Restricted development can be okay. Keep an eye on old farms. You never know what’s going to happen. The Dziekanowski family purchased the land in North Amherst from the Emily Dickenson estate. For several decades the farm was used to grow crops and raise dairy cattle. Originally the farm was used for dairy cows. In recent years, the farmer raised Scottish Highland cattle, and 14 ½ acres were leased to a neighboring farmer for growing squash and corn. Edwin Dziekanowski, the last residing member of the Dziekanowski family fell ill and was no longer able to live on the farm. To pay for medical costs, Dziekanowski was forced to sell the farm, but refused to let the land be sold for development. 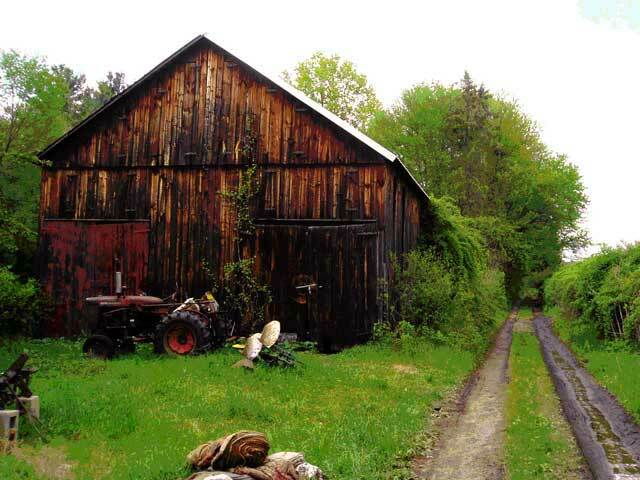 To protect the farm from residential development Andrew Jekanowski, Dziekanowski’s power of attorney, applied for an Agricultural Preservation Restriction (APR) from the State of Massachusetts. With only six weeks to commit to purchasing the land, a group of community members formed the North Amherst Community Farm (NACF) to raise funds to protect the land. Kestrel Trust, a local community land trust, served as a fiscal agent and advisor to the newly formed NACF. 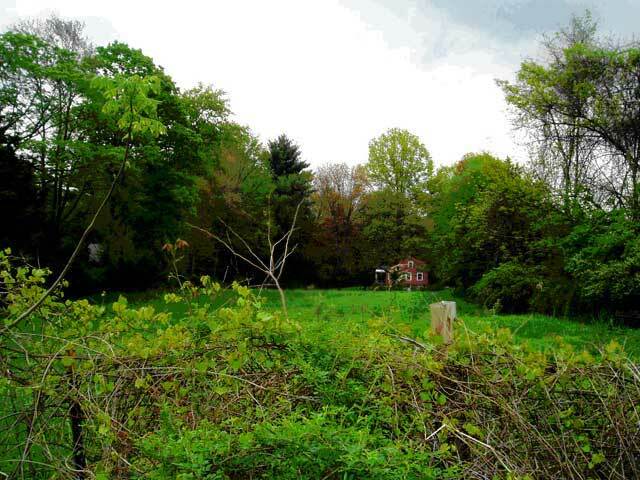 The State of Massachusetts agreed to purchase the APR on the land for $355,000. The Town of Amherst also contributed $100,000 toward the purchase of the land, from the Amherst Community Preservation Act Fund. To raise supplemental funds for the land purchase, NACF established itself as a local CSA, and took over agricultural production on the farm. Working in conjunction with Simple Gifts Farm, the farm shifted to organic crop production. NACF becomes a registered non-profit organization. Kestrel Trust is no longer needed as a fiscal agent. Funds still remain to be raised for the down payment on the property.